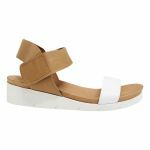 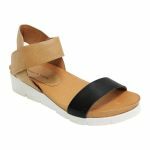 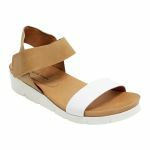 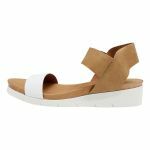 Solid and supportive but very lightweight LIRROR by Django & Juliette is a perfect summer wedge sandal for those that like to run around in the sun. 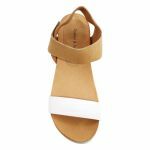 The easy velcro straps make it effortless to put these sandals on and start your day! 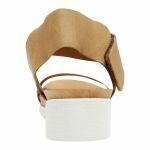 You'll never feel unstable in these wedges as they have a flat sole and a non slip foot pad!